Injury, Elder & Real Estate Law Firm Seminole FL | DeLoach, Hofstra & Cavonis, P.A. When faced with a legal problem, it can be overwhelming to know where to begin. Do you even need a lawyer? And how can you know where to find an appropriate, qualified attorney who will make your needs a priority? Legal matters are often highly personal and the outcomes can have serious consequences for individuals and families. Finding representation that is both personal and effective may seem impossible, but it doesn’t have to be. Whether you are looking to plan for your future or the future of someone you love, you have suffered injuries due to someone else’s negligence, you are facing litigation, or you have other pressing legal needs, the experienced lawyers at DeLoach, Hofstra & Cavonis, P.A., can help. 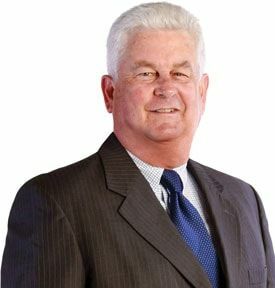 Our Seminole-based law firm has been serving this Florida community for over 40 years, and we understand the unique needs and expectations of those we represent. We value our place in the community and make it a priority to offer clients a truly personalized experience that reflects their desires and seeks to meet their specific goals. If you are thinking about the need for a legal plan for the future or you are facing a legal matter now, call our office today to speak with an experienced member of our legal team. Even if you aren’t sure if a lawyer can help, take a moment to fill out our online contact form for a prompt response to get the answers to your important questions. Real Estate. Buying and selling property is often the largest financial transaction you will enact in your life. Whether you are looking to buy your own home or are involved with commercial real estate transactions, real estate law can quickly become complex. Without a trusted advisor on your side, you could face serious negative financial consequences. The experienced lawyers at DeLoach, Hofstra & Cavonis, P.A., have handled many different types of real estate cases, from representing the buyers and sellers in small, straightforward purchases to transactions in excess of $40 million. Litigation. Conflict is sometimes inevitable. Whether in your personal life or related to your business, many people find themselves facing civil litigation. We understand this can be an overwhelming time, and the lawyers at DeLoach, Hofstra & Cavonis, P.A, take a highly personalized approach these cases. We will explore all the options that might be available for each client—from mediation all the way to vigorous litigation. Injury Law. When the carelessness or negligence of another person causes you injury, you don’t have to suffer the physical, emotional, and financial consequences alone. Our experienced injury team, led by attorneys Paul R. Cavonis and Joseph M. Murphy, will fight for the justice you deserve and the compensation you need to move forward with your life. Elder Law. Elder law focuses on representing, counseling, and assisting seniors and people with disabilities. 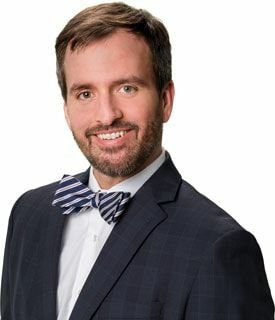 Attorney D. “Rep” DeLoach III is board certified in elder law, offering our clients expert advice to help address the medical, financial, legal, and social issues unique to the aging population. Additionally, we offer Life Care Planning services, in which our team works with a social worker who also advocates on behalf of the aging client. When families need help caring for their loved ones, they are often unsure who to ask for help or even what kind of help they need. Rep and the rest of our team are here to help. Estate Planning. While it is sometimes difficult to think about a future where you are no longer here, taking a proactive approach to planning your estate can make medical decisions easier, protect your assets, maintain family relationships, and ensure you are able to leave a lasting legacy. With a combined 60 years of experience, our estate planning lawyers can help you answer the difficult questions and devise a plan that meets your personal goals. Probate Services. When a loved one dies, the last thing families want to think about is dealing with probate matters. Probate can quickly become complex, time consuming, and expensive. It is possible in Florida to avoid probate altogether, or we can assist you to try to resolve probate matters as quickly as possible so you and your family can focus on what really matters during a difficult time. If you’re unsure if your legal case falls into one of these categories, or if you even have a case at all, don’t hesitate to contact us today. Call our Seminole office at 727-397-5571, or take a moment to fill out our online contact form for a prompt response from a member of our legal team. Personalized service. 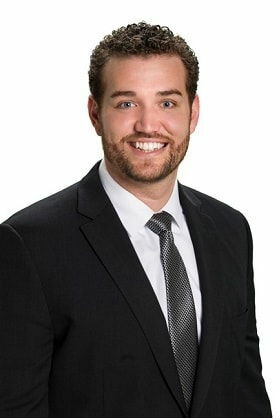 Every attorney with our firm is dedicated to providing representation unique to each client and the specific needs of the case. We will take the time to fully understand your situation and to help you learn more about your legal rights and options under the law. Community dedication. Our firm has been a fixture in the Seminole area for over 40 years. 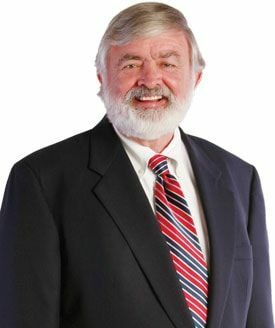 Firm founder Dennis DeLoach is the longest–practicing local attorney. We take pride in our relationship with the community, and we regularly participate in local events and take part in local charities. Excellent Attorneys, Great Advice. We are proud of the quality work we give our clients. Our goal is to work hard for you, help you make the right decisions and give you a great result with great communication along the way. We believe in integrity, sincerity, and professionalism in everything that we do. We are the right law firm for anyone looking for a trusted ally to guide you through the legal process. We strive to be accessible and reliable partners in settling your legal matter in a positive way. We hope you’ll give us a call to learn more about who we are and what we can do for you. If you’re still unsure if DeLoach, Hofstra & Cavonis, P.A., is the right law firm for you, read some of our client testimonials, to see how we’ve helped others just like you protect their rights or seek justice in Florida. Even if you aren’t sure if our legal team can help, when you call our Seminole office you can expect to find the information you need to make a sound decision about how best to move forward. You will speak to a knowledgeable paralegal who can learn more about your situation and direct you to the attorney who can best help you examine and understand your legal matter. During your consultation, you’ll meet with that lawyer to discuss your case and begin to explore some initial options. We will work with you to seek a resolution that will meet your legal, personal, professional, and financial goals. You don’t have to face a complex legal situation alone. At the trusted law office of DeLoach, Hofstra & Cavonis, P.A., we want to use our knowledge of the law and experience in practice to help you find the peace of mind you deserve. Call our office at 727-397-5571 or fill out our online contact form to get started protecting your rights today. We proudly represent individuals in Seminole, Largo, St. Petersburg, Clearwater, Pinellas Park, Tampa, The Beaches, Belleair, Pinellas County, New Port Richey, and Pasco County. "I could not think of a more compassionate, careful, considerate, knowledgeable, professional group of people than your firm. We have been so pleased and blessed to have had the opportunity to get to know you, and to have you on our side as part of our team helping us care for our parents. "Sandy F.
"I couldn't recommend anybody better than Rep. 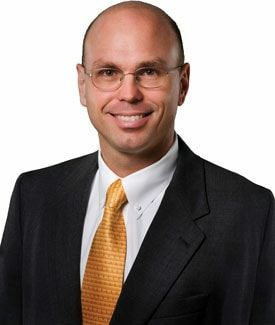 I firmly believe he's the best elder care lawyer that there is, in this area. There's no one else that you need to go to. You need to come here and let him assist you because he does know the ins and outs. He does care, he will go ahead and make sure that your wishes are carried out, he will listen. I've been through it with my mom and my dad. Now, I've done it for myself and I firmly believe that when it's time, my sister will be coming here for the same thing because it's so important. So many people need to do it that aren't doing it and this is the place to come. "Ron R.
"I was well pleased with the way it was handled. I was kept informed. They treated me like anybody would want to be treated. I have really nothing bad I can say about it at all. The kept me up to date on everything...I'd recommend you to anyone. "John B. "From his depositions to the medical witnesses to his cross-examinations to his closing, Paul just ran that courtroom. It was very impressive. He made it easy. He made a horrible process easy. I would definitely recommend him and this law firm." "It's the most incredible experience I've ever had. I've never had to worry about how many questions I asked. Rep would answer very patient, very kind. A great educator and he did a fantastic job on all of our documents and if I need to call with a question or send him an email, you get an answer right away." 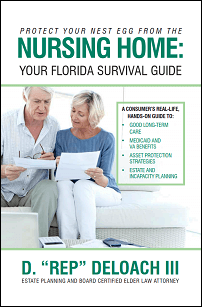 Download your free guide to Alzheimer's care to assist your Florida elder. Learn about care options, paying for long-term care, ways to communicate, and more. This book provides vital help for you or a loved one in need of caregiving, long-term care placement, Medicare, Florida Medicaid, and asset protection planning. 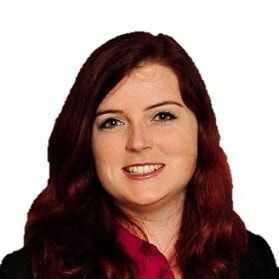 Selling your home in Florida? Here you can download our free guide full of helpful information our real estate attorneys have prepared with you in mind. 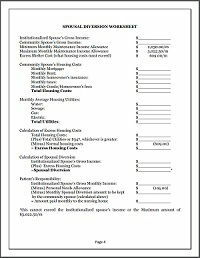 Free worksheet on calculating the Florida spousal income diversion for long-term care Medicaid. Learn how much the community spouse can keep and more. 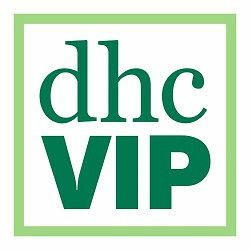 Are you a DHC client? If so, please sign up for our new DHC VIP Program and start enjoying your free benefits today!